Tag: batman | Something Odd! A slightly shorter version of this short movie did the rounds a while back but this one is a hell of a lot better. 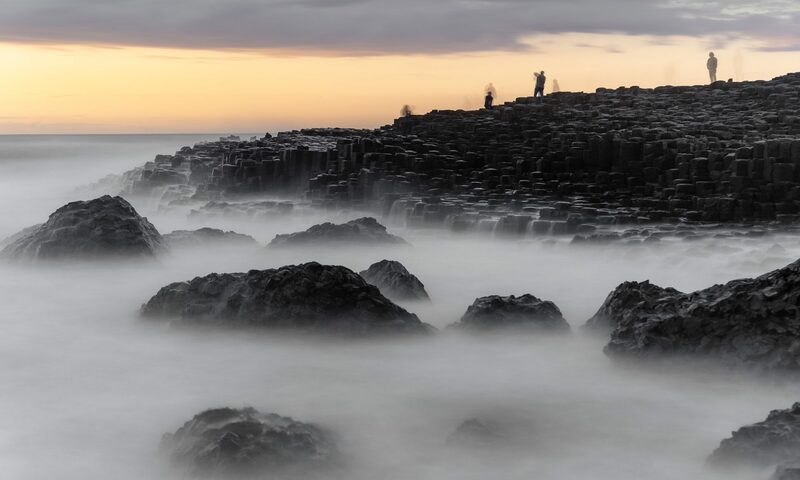 Batman, Superman and Darth Vader all in one clip? Great stuff! … there were cheers as gamers didn’t have to battle with “Games for Windows Live” or GFWL or “that pile of stinking sh*t that loses my save games” any more. Except they do. As a final hurray, anyone who had either of the current Arkham games (Asylum or City) will get an upgrade to the GOTY version. Unfortunately the announcement says that save games cannot be transferred. Good old GFWL, evil until the end! All is not lost however. If you’re willing to dig around with a hex editor here are instructions explaining how to make things work. I haven’t tried it yet but because I have Arkham City installed I can somehow play it with GFWL offline. It took me 5 hours to get through 16% of the game so hopefully I can salvage the save game! I can’t find any save file for the previous game which I had deleted but I had completed it and I don’t care for picking up all the Riddler’s trophies so no loss. L’il Bruce Wayne, the happiest kid on Earth. In the final issue of the series following the adventures of this happy child, Bruce visits the theatre with his parents to watch The Mark of Zorro. I’d been really looking forward to watching The Dark Knight Rises since it came out a few weeks ago. I diligently avoided all spoilers and laughed when I heard one or two strange stories about the ending. I finally got to watch the movie last night in an almost empty theatre. I’ll leave you with this, The Dark Knight Rises: 20 Mistakes Nolan Should Have Avoided which is a pretty good overview of mistakes made in the movie. Do not read if you haven’t watched the movie. Oh, and go read Batman: Knightfall. It’s the story this movie was based on but it’s so much better. Bonus: Batmania by Pretzel Logic on the C64. I remember watching this around the time the movie came out. 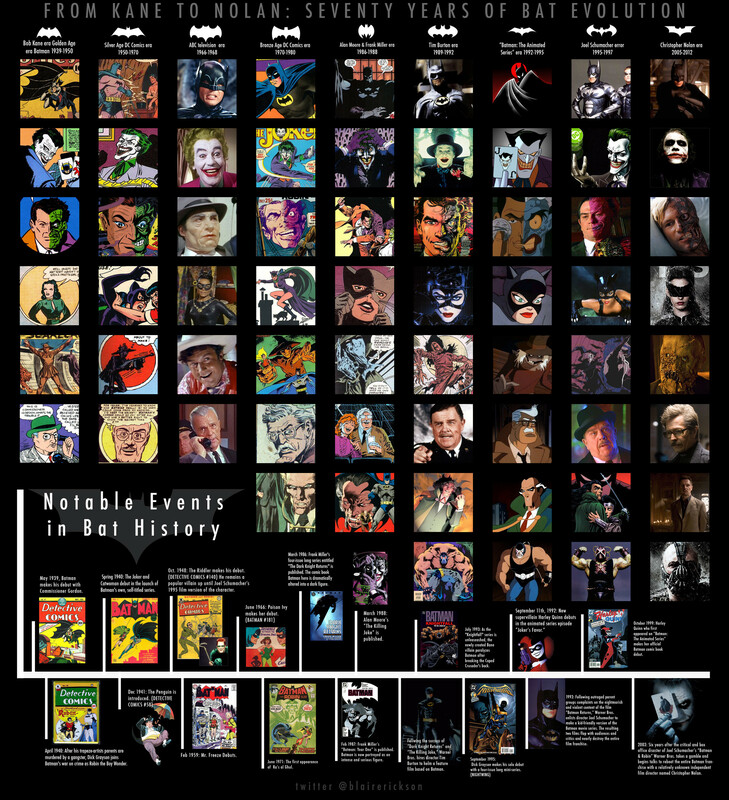 A fairly inclusive infographic recording 70 years of Batman evolution by Reddit user gonzoblair (blairerickson) and posted here. I’m still at the stage where I just mash the attack and evade buttons in combat. The first video above shows a simple but better technique by evading enemies with jumps and the second one is the “Perfect Freeflow 2.0” achievement showing how to do the following moves in slow motion. I now wish Battlefield 3 wasn’t coming out on Friday as I won’t have time to devote to this amazing and beautiful game! Bonus link: Combat, Gadgets, Upgrades, Riddler Challenges, and More!